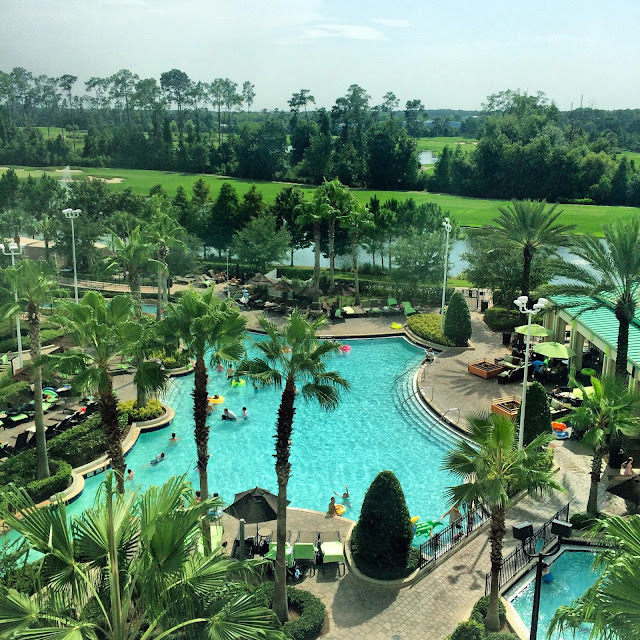 The view of the three-acre pool, the lazy river, and the golf course from our room at the Hilton Bonnet Creek Resort. Presumably python and alligator free. Enjoy!